Bohol Gov Edgar Chatto, in an interview on ANC, said there are incoming reports of damage across the province, particularly to old buildings. "[The quake] was really very strong. People now are a little bit in a situation of panic," Chatto told ANC. People in the province are also monitoring abnormal sea level changes for possibility of a tsunami, but Chatto said there is little chance of it because the province is surrounded by other islands. "We are still getting in touch with mayors, disaster officials of towns facing the Mindanao Sea, ito ang malawak," he said. "We are just asking people to be cautious but not to be panicky." intensity 3 diay sa davao, loll. glad your lola and vots are okay. 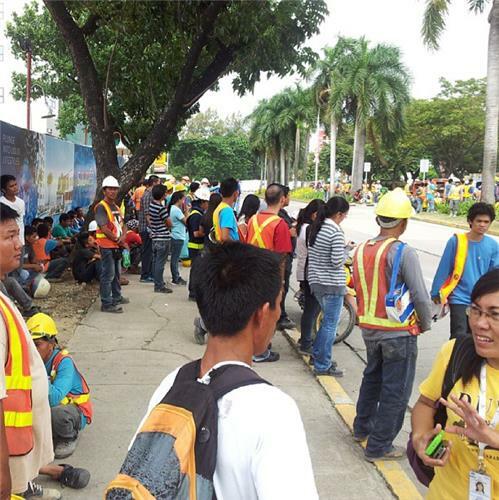 Four people died in the quake, the Office of Civil Defense (OCD) region 7 reported. The deaths were reported in Cebu City, when a fish market collapsed, Raquel Arce, the market administrator for Cebu City, told DYSS radio station. Many others were injured. One person was also reported killed in Mandaue City, Cebu 6th District Rep Luigi Quisumbing told Rappler. May the souls of those who died in this earthquake be given peace, and may all our fellow cebuanos and bol-anons who have been affected be given solace. amen. 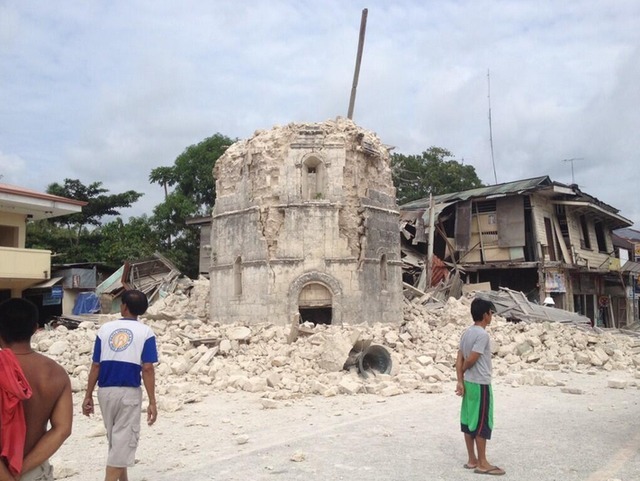 damage to the 400-year-old loboc church in bohol is massive. how tragic. Sa amo ara konong kakusog ang linog but no reports of damage. I'm so sad to see the damage on such a beautiful church. The people of Loboc will rebuild. I hope and pray no one was injured!! Tita Isles, do you know the status of the Valencia's Sto. Nino Church ? I'm still at work and have no access of talking to relatives in Bohol yet. sorry, lorenz. i have no contact in valencia as of now. bugsay would have been the best tb source, i must say. who knows, he's in valencia now. too bad his cell phone number that i have no longer works. CALLING BUGSAY! how's valencia, please! this must be the loboc church belfry, which is across the street from the church itself. sad. may pa ang balay sa kilid standing pa... kasayang sa structures sa church oi..
sayang gyod, loll. this is a tourist attraction because it is ancient and largely untouched. i'm still waiting for some pictures of baclayon church, which is said to be the oldest church structure in its original form in the philippines. 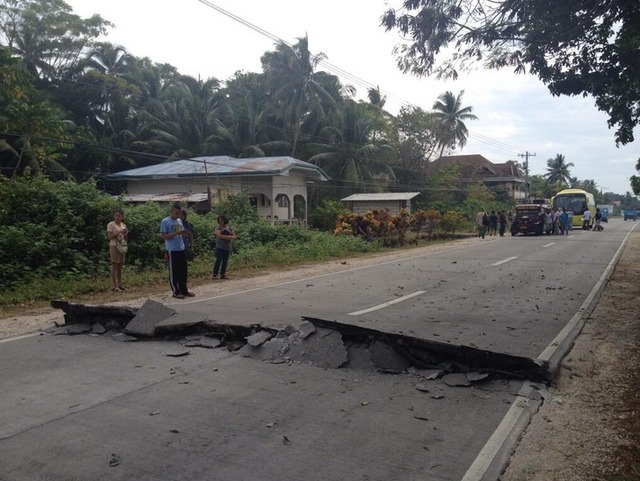 Initial data released by the USGS said there were two earthquakes, both centered in Bohol. The quake was followed by 110 aftershocks, Phivolcs director Renato Solidum said in a press conference at the NDRRMC. 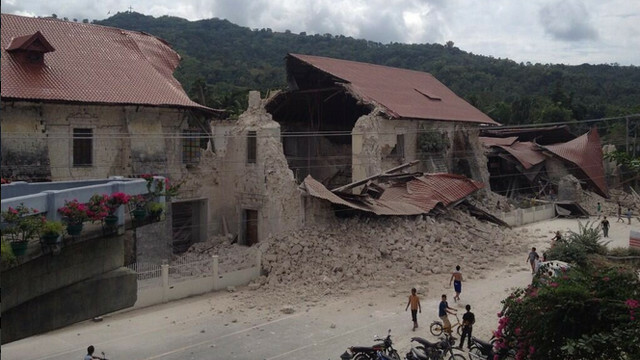 Solidum said more damage can be expected in the areas closest to the quake's epicenter, specifically in Bohol and Cebu. it is a miracle that this happened during a national holiday. tinuod baja. i'm just praying and hoping no faithful were in church during the time of the quake. if anyone also knows the status of our neighbors in dimiao, garcia hernandez, jagna, and also my own valencia town, please update us. calling bai bugsay, please update us sir. during break i'll try to contact my family and relatives. sayang i don't have a calling card right now. 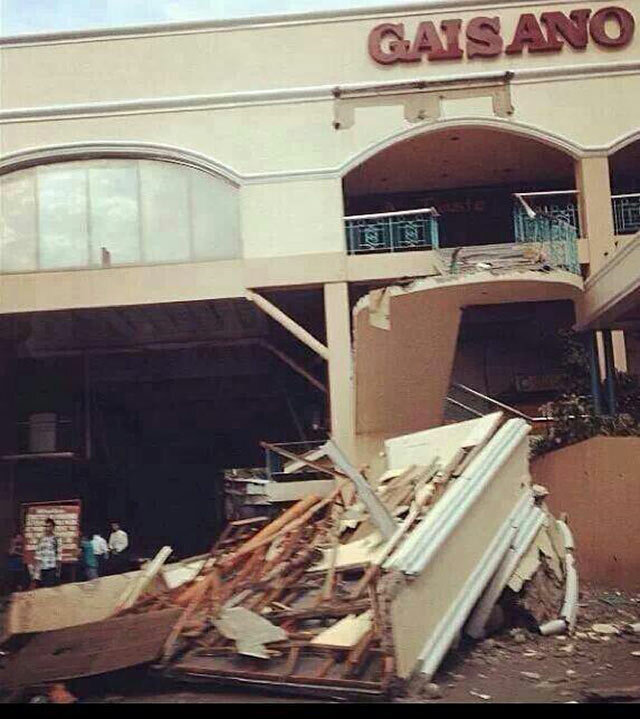 lord please let my lolo be safe and okay. in jesus' name, please, amen.